Mon.-Thu. 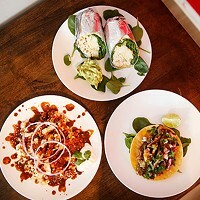 lunch 11 a.m.-2:30 p.m., dinner 5-10 p.m.; Fri.-Sat. lunch 11 a.m.-2:30 p.m., dinner 5-11 p.m. 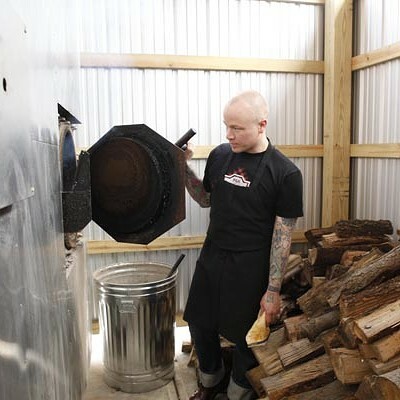 Chef Kevin Sousa sharpened his knives at some of the city's finest dining establishments, and pioneered locally the avant-garde practice of molecular gastronomy. 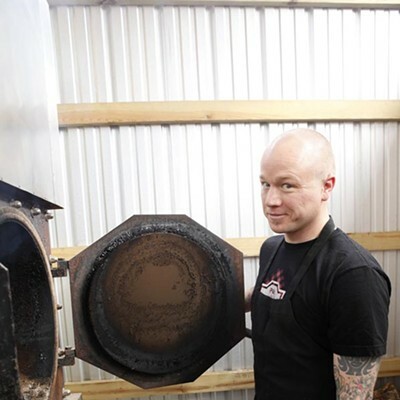 He now owns and runs Salt of the Earth, which, perhaps more than any other recently opened hot spot in East Liberty, has put that neighborhood on the food map. 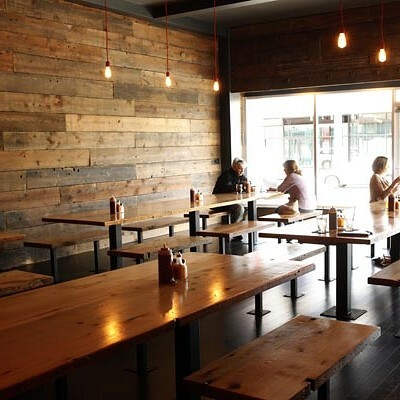 This résumé makes his latest ventures all the more intriguing: Sousa has resurrected the old Station Street Hot Dog shop as a purveyor of gourmet wieners and, now, put barbecue back in the heart of East Liberty by opening Union Pig and Chicken. In Southern soul food, Sousa has found a culinary tradition that need not be reinvented with trendy new preparations or fusion flourishes. 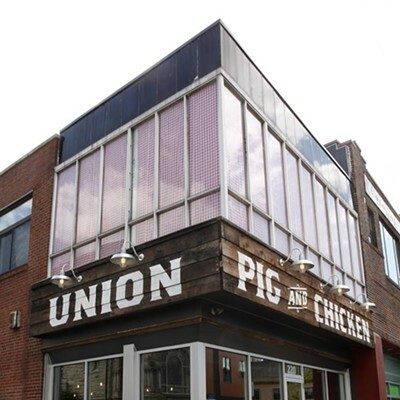 Union Pig and Chicken hews closely to traditional recipes and ingredients. 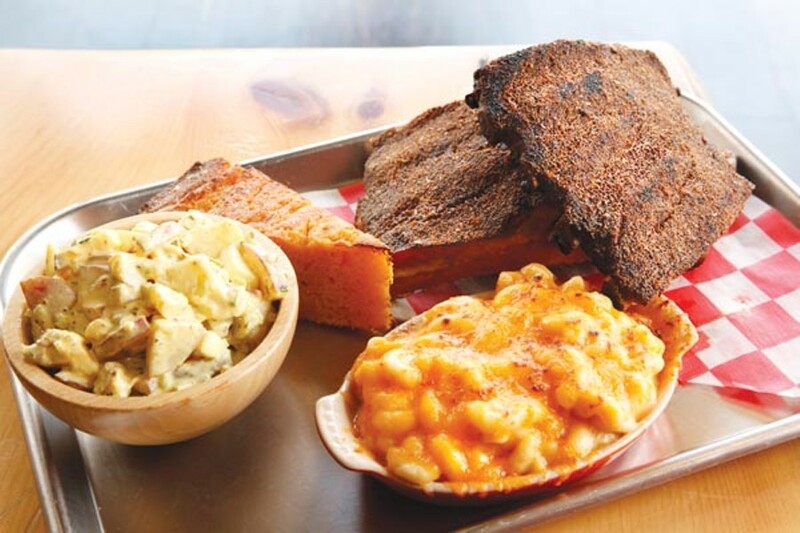 The fare distinguishes itself, simply and supremely, by being some of the best barbecue, fried chicken and Southern-style sides that Pittsburgh has ever seen. Though Sousa himself is not a Southerner, he understands what all too few Northerners do: Barbecue has almost nothing to do with sauce, and almost everything to do with smoke. 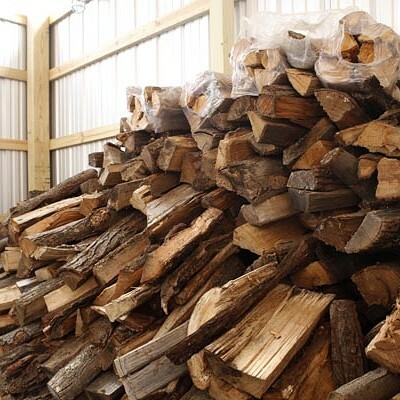 His meats (carefully sourced, according to the prevailing current practice) are wonderfully slow-cooked, and the kitchen's walls exude the heady aroma of wood smoke. Here, ribs, brisket, pork shoulder and chicken are all served "dry," with nothing more than rubbed seasonings, while three sauces are on the table for diners who wish to customize their meat: a simple Carolina chili-vinegar; a traditional, Kansas City-style sweet sauce; and an extraordinary habanero sauce that combines plenty of kick with enough fruity notes to keep it manageable, without sliding into cloying syrupy-sweetness. 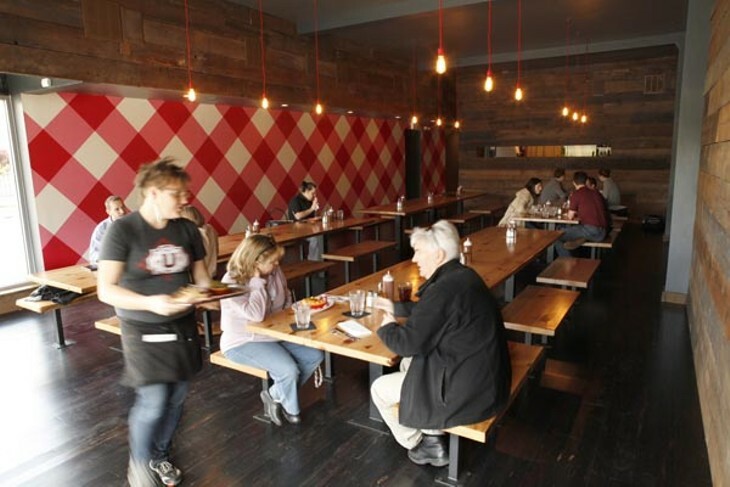 Speaking of the table, Union Pig and Chicken underscores its classic barbecue theme by being furnished with long picnic tables where everything is served family-style from trays placed in the center, an approach which encourages sharing and conversation about the food. 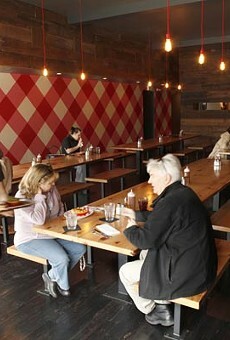 The traditional red-gingham picnic tablecloth has been displaced onto one wall, where oversized, painted checks provide the dining room's primary decor; the other, rustic wood-plank walls suggest the humble, comfortably casual ambience of an outdoor park pavilion. 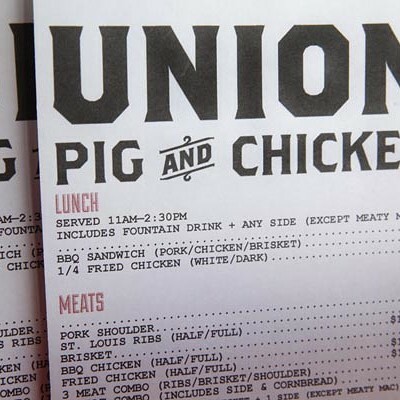 With only a couple of exceptions, Union's menu looked just like that at any roadside rib joint, featuring an array of barbecued meats and down-home sides such as coleslaw, baked beans and collard greens. The unadorned meats showcased their distinctive characters: chunks of pork shoulder were meltingly soft; slices of tender yet meaty brisket retained a bit of detectable grain with an edge of crisp exterior as they fell from the bones. If we had a quibble, it would be the large amounts of fat on the meat. 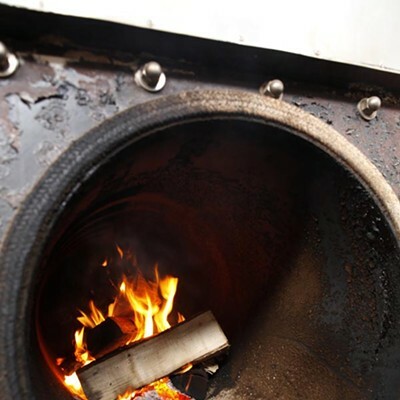 Certainly, fat is a hallmark of good barbecue, and of well-prepared meat in general, rendering it (literally) moist and flavorful to a degree that lean meat never can be. But we found slabs of fat almost equal, in some cases, to the amounts of meat itself to be a little excessive. On the other hand, some magic must have been at work to create the illusion of rich fat in even the white meat of the fried chicken. The pieces we were served had a classic, mid-weight crust around some of the richest, moistest poultry meat we've ever had; it tasted almost like confit that had been deep-fried. The sides mostly lived up to the meat. The mac-and-cheese, in particular, could stand its ground with the best of them, with a densely creamy sauce punctuated by a pungent sharpness. The slaw was less traditional, orchid-purple in color from red cabbage and carrot and dressed with vinegar; its bittersweet sharpness was a welcome counterpoint to the richness of the meat. Greens, also seasoned with vinegar to cut their bitterness, offered additional balance. Baked beans, however, were tooth-achingly sweet, making it hard to enjoy their nicely firm texture. There were a couple of items on the menu that would have been outliers at a Southern family reunion, namely steak tartare and pork-belly lettuce wraps. Instead of chopped beef in the tartare, Sousa uses finely shredded hanger steak, which lends a meatier texture, and instead of egg, he mixes it with minced pickle and a creamy, mayonnaise-like sauce, all topped with quartered hard-boiled quail eggs. Served with excellent, barbecue-seasoned housemade potato chips, it was a very successful re-conception, delectable to traditionalist and adventurer alike. The lettuce wraps nodded toward Chinese cuisine with cilantro and habanero-spiced filling, casting the lettuce in the role of welcome coolant. Though less innovative than the tartare, with Union's superb meat as a starting point, they were no less satisfying. 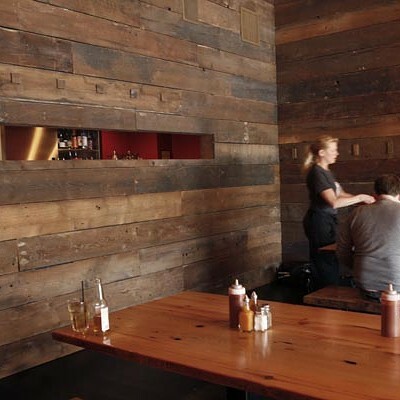 Union Pig and Chicken may not be pushing barbecue upscale, but meat this well prepared still doesn't come cheap. 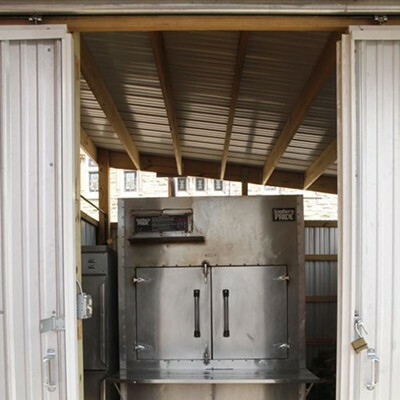 Yet for anyone seeking great barbecue, an experience of this caliber will be worth the price. 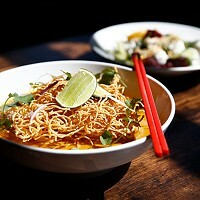 CORRECTION: Last week's review of Cure gave the wrong name of the chef; it is Justin Severino. We regret the error.